Connections for the Homeless helps run a temporary shelter at 1458 Chicago Ave. Connections is one of 97 social services agencies suing Gov. Bruce Rauner and his administration. Budget talks resumed in Springfield last week, but some social service agencies aren’t holding their breath for a compromise any time soon. With the stopgap budget set to run out on Dec. 31, many state-funded social service agencies are again trying to figure out how to keep their doors open if the current funding runs out before the next year’s budget is passed. During the year-long budget impasse that ended in June, many social services agencies did not receive any payments on their state contracts. A group of 64 agencies joined together in May of this year to sue Gov. Bruce Rauner, Comptroller Leslie Munger and other state department heads to demand payment on backlogged contracts. The coalition, called Pay Now Illinois, currently stands at 97 agencies. Although the suit was dismissed by a Chicago Circuit Court judge in late August, the coalition filed an appeal with the Illinois Supreme Court in late October, and the legal battle continues. Some social services agencies have received full or partial payments on contracts from fiscal year 2016 — which ended in June — after the stopgap spending bill was signed as a temporary budget on June 30. Andrea Durbin, (Medill ’89) the chair of Pay Now and the CEO of the Illinois Collaboration on Youth, which provides training and assistance for at-risk youth, said the budget uncertainty has made many agencies in the coalition nervous, even if they have received some payments. Rauner said at a news conference Wednesday that he sympathizes with the agencies who are being harmed by the budget uncertainty. Although the Pay Now Illinois lawsuit and budget talks are continuing, some social services agencies have said it is too late for some of their clients. Connections for the Homeless, located in Evanston, is a plaintiff in the Pay Now lawsuit. Connections provides Evanston and North Shore residents with homelessness services and homelessness prevention funds, which are small payments given to people who are on the verge of losing housing due to financial issues. Loellbach said Connections closed or reduced several of their programs during the budget impasse and laid off several employees. Even though they’ve received partial payments on contracts, the damage is already done, Loellbach said. “The budget impasse has been really devastating, and I’m expecting it to be so in the coming year as well,” she said. Connections was not the only agency to layoff employees or shutter programs as a result of the budget impasse. Durbin said there have been instances of agencies not being able to help people on waiting lists for drug addiction treatment. 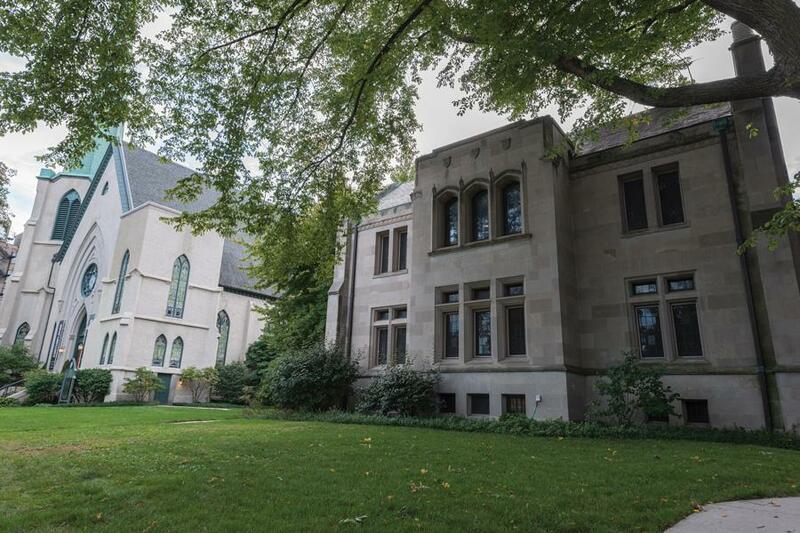 Mary Ellen Poole, the executive director of the Evanston-based Housing Options, which helps adults with mental illnesses with housing and treatment, said they have not been able to expand their services due to faulty state funding. “Payments stopped for a long time, and then they would start back up and then they would stop … it was really all over the place,” she said. Housing Options — which is not part of the Pay Now coalition — was forced to shut down its waitlist, which has 50 people on it looking for services or housing, Poole said. Poole said Housing Options chose this year to assume the worst and write off state funding, which made up about 14 percent of their annual budget. They’ve compensated with more private donations, but the lesson is learned, Poole said. The organization had to lay off people and reduce hours as a result of missing checks, Poole said. Housing Options is not the only social services agency to write off state funding. Connections did the same when drafting their fiscal year 2017 budget, choosing instead to launch a community awareness and fundraising campaign in late September. Loellbach said at a press conference kicking off the campaign that they didn’t have time for the state budget crisis to work itself out. “We’re tired of waiting,” she said. Durbin said last week that although leaders were once again meeting in Springfield to discuss appropriations, she hadn’t seen enough action on the issue. Last week, Rauner met with the Illinois Speaker of the House Michael Madigan (D-Chicago) and Senate President John Cullerton (D-Chicago) to discuss budgeting for the rest of fiscal year 2017, after several days of uncertainty surrounding the meeting. Although no formal decisions have been made, both Rauner and Madigan — who are seen as adversaries — both said the meetings went well. The General Assembly will reconvene after Thanksgiving. A spokesperson for Rauner’s administration said the General Assembly should work with the governor in passing a budget. “The majority party in control of the General Assembly should work with the governor by passing a balanced budget with reforms that will create jobs, lower property taxes, improve schools and protect our most vulnerable,” they said in an email statement. At the same time, Pay Now Illinois is continuing its appeals process. Their request for an expedited appeal was shot down by the Illinois Supreme Court last month, so they are going through the normal appeals process, Durbin said.